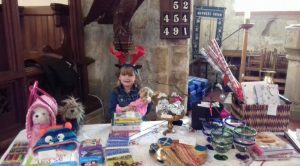 Willoughby’s annual Christmas Fair signals the start of the festive period for many residents! 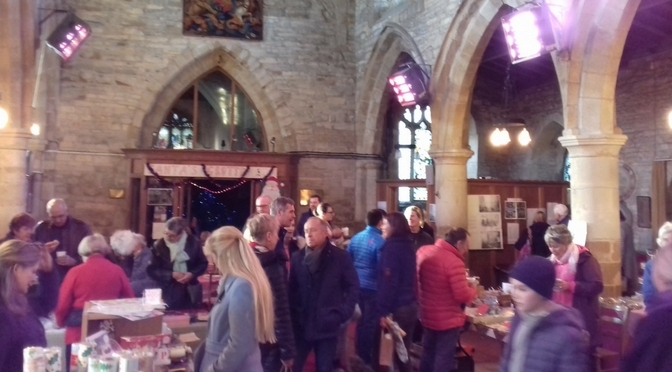 Held in the church at the end of November, there was a variety of stalls selling homemade cakes, jams and chutneys, Christmas cards & wrap, toys and gifts, art work and jewellery. Visitors were warmed by delicious mulled wine and mince pies and some even won big on the raffle! 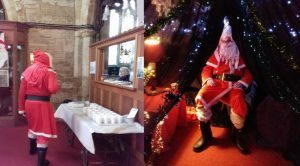 Of course, Santa made an appearance; after grabbing a quick mince pie and fortifying himself with mulled wine [;-)], he took his place in the fantastic grotto and delighted the village children as they lined up to say hello and make their requests! The event was full of festive cheer and community spirit. At least £400 was raised for village and other good causes. Thanks as always to Sylvia Hawkins for masterminding the event, and to everyone who was involved.